Have you heard of Simon Beck? 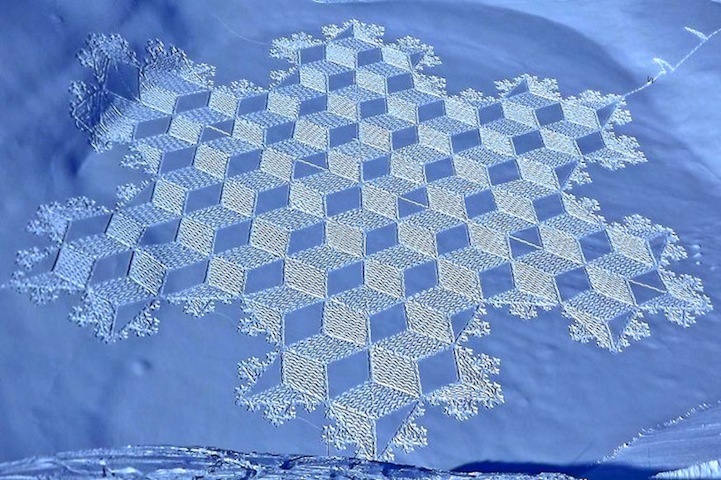 He is a "Snow artist" from France. Check out his work, it's amazing! So cool! Can't wait to see you soon, Deb & Warren. Beautiful-kind of like the sidewalk art you can find! Thx for sharing this! I've seen those--aren't they wonderful! Wow! Wow! Tumbling blocks is amazing in fabric -- but SNOW!